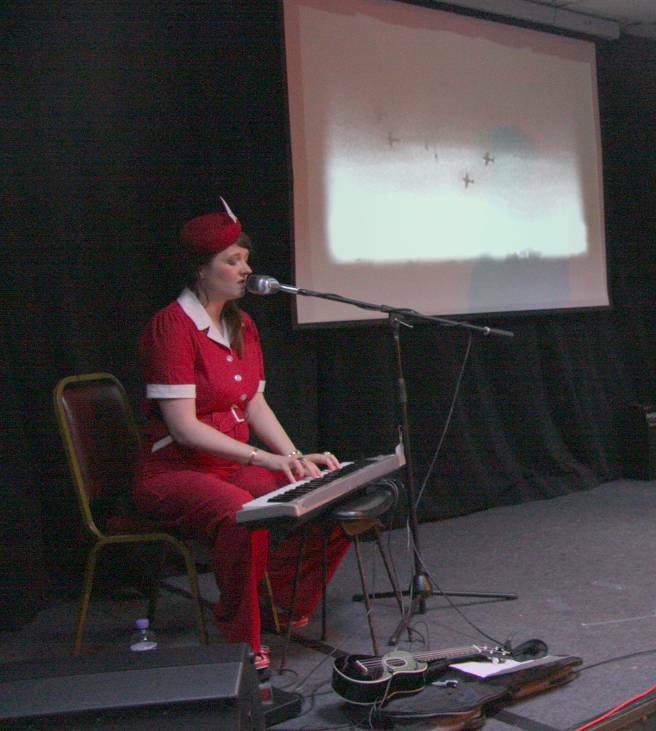 I was pleased to attend the recent concert by Katy Carr and the Aviators, and the short film “Kazik and the Kommander’s Car” held at the Polish Ex-Combatants Association Club, on behalf of the County Commissioner for Avon Scouts, Mr. Dan Wood. interviewed Kazik, he took us all on a journey – from happier times as a young man, through to the invasion of Poland by the Germans until his terrible incarceration at Auschwitz. After two years at the camp, a friend suggested to Kazik that they could escape using the Kommander’s car. This was a defining moment particularly when Kazik stated in his interview “…that was the spark…” – “…I knew then that it would work if I brought it all together…” [sic]. All around the room, the emotions that evening were not just seen, but felt – by grown men and women, not necessarily Polish, who like me underwent a journey of sadness, horror, despair, hope, and finally thankfulness that Kazik and his friends escaped. For those of you who weren’t there that night, I am pleased to report that Kazik is alive and well today to pass on a fundamental statement in Scouting, by visiting as many countries as possible to share in his mantra – Do Your Best! It was quite apparent that Kazik’s resourcefulness is down to his early years spent as a Scout, the years following his escape as a member of the Polish Partisans fighting for liberation, and furthermore that resourcefulness, so that even when he was monitored by the Communist regime, Kazik’s beliefs kept him in good spirits. UK Scouting is slightly difference from Polish Scouting – there is the Beaver Section for 6 – 8 years, Cub Section for 8 – 11 years, Scouts for 10½ to 14 years and Explorer Scouts for ages 14 to 18 years. 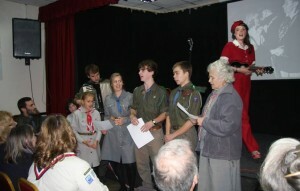 During the last 12 months Cabot has also launched a Network Section for adults aged 18 – 25 years of age. All our sections are open to both girls and boys. As District Commissioner for Cabot District within Avon County, my role is to lead and develop 18 Scout Groups including a Group based at the Bristol Children’s Hospital, seven Explorer Units, a Duke of Edinburgh Award Unit and the Ten Tors Hiking Unit. Her outstanding song “Kommander’s Car” with the official music video can be viewed on You Tube. A promotional video for the film about Kazik and his famous escape.